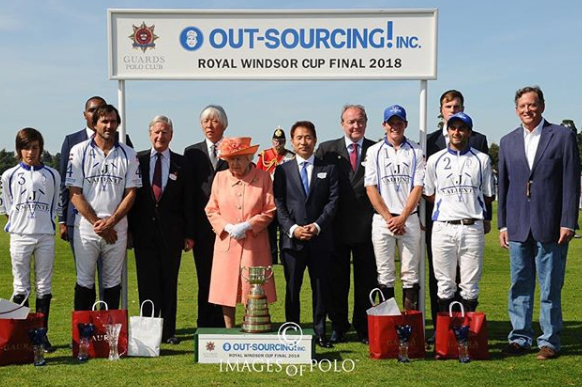 Yesterday were the finals for the Guards Polo Club’s oldest competition – first played for in 1955 – and today recognised as the UK’s leading 15-goal tournament. This three-week contest offers the very best horsepower, with players and ponies in perfect harmony, making each game a spectator’s delight. Finals Day, is historically attended by HM The Queen and our President, HRH The Duke of Edinburgh. The day concludes with the popular and elegant British Driving Society Show parade in front of the Royal Box, ensuring that the Royal Windsor Cup Finals Day is a truly equine extravaganza. We saw many spectacular dresses throughout the day. Our favourite was the printed long summer dress worn by Maria Vazquez, the wife of Argentinian polo player Adolfo Cambiaso. 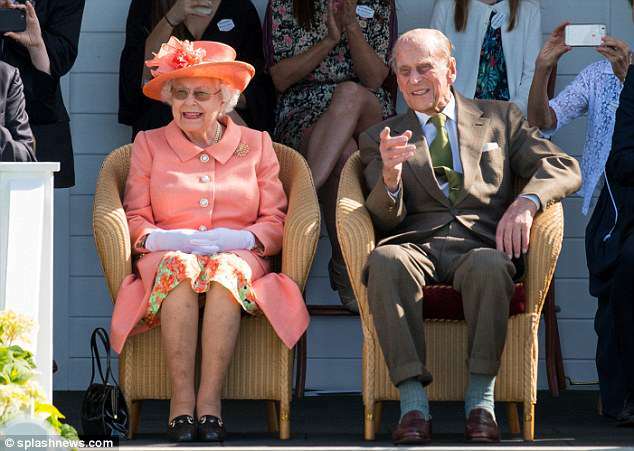 The Queen and the Duke of Edinburgh were all smiles yesterday at the Polo. The Queen went for a colourful peach ensemble. Lady Victoria Hervey wore an off shoulder cobalt blue dress, paired with black gladiator sandals. Academy Award Winner, Susan Sarandon, looked in good spirits in a white short-sleeved dress. Here is the Queen with the winners of the Royal Windsor Cup. Tags: Event Reports. Girl Meets Dress, Girl Meets Dress at the Royal Windsor Cup Polo, girlmeetsdress, GMD, the Royal Windsor Cup Polo, What did the Queen wear at the Royal Windsor Cup?.